NetEase (NASDAQ:NTES) fell following its Wednesday’s earnings announcement. The Chinese online services reported a higher-than-expected net income but missed on revenue as the costs of its new e-commerce division weighed on the stock. With promising signs of growth in e-commerce, however, the recent slump in NTES stock could present a buying opportunity. NetEase reported second-quarter earnings per share (EPS) of $3.15 (on a non-GAAP basis). This beat analyst estimates by 33 cents per share, although it also represented a drop from the $3.86 EPS reported in the same quarter the previous year. Revenue increased by 24.7% from the same quarter last year. Although the company reported revenues of $2.46 billion for the quarter, that missed expectations by $20 million. This sent NTES stock reeling in the next trading session. NetEase lost almost 11% in Thursday’s trading alone and is down 14% overall. Worries related to the trade war with the U.S. as well as unexpectedly high sales, general and administrative expenses weighed on the stock. Interestingly, the previous quarter saw a similar story. Following the Q1 earnings report, NTES stock fell by 7.5% following that trading session. Despite these setbacks, shareholders, especially the long-term owners, have enjoyed a nice run. NTES stock fell to as low as $15 per share at the height of the 2008 financial crisis. From there, it’s risen in value by almost 2500%. However, since hitting a high of over $377 per share in December, it has lost over 40% of that value. Another factor involves NetEase expanding its business lines. InvestorPlace’s own Dana Blankenhorn pointed out that NetEase was like Tencent (OTCMKTS:TCEHY) but wanted to become JD.Com (NASDAQ:JD). I disagree with this view as Tencent has also moved into e-commerce. However, such a transition from gaming to e-commerce certainly weighs on both marketing and shipping costs. For this reason, I see the selloff as an overreaction. While such a change sounds daunting, readers should remember that NetEase started out as an internet services company before the move into gaming. Also, if its primary rival Tencent can make such moves, I see little reason why NetEase cannot do the same. In my view, I see NetEase has become a buying opportunity for those that want to buy an internet conglomerate but missed the chance to buy Tencent years ago. Despite the massive increase in NTES stock over the last ten years, the market cap stands at under $30 billion. This compares with Tencent’s market cap of over $450 billion. This creates a tremendous advantage for NTES stock regarding the laws of mathematics. If Tencent’s almost $450 billion market cap doubles in value one time, it becomes one of the top five largest companies in the world. NetEase’s $30 billion market cap would have to double five times to come in striking distance of the record trillion-dollar market cap reached only recently by Apple (NASDAQ:AAPL). And despite the 40% drop in NTES stock, it has doubled almost four times over the previous ten years. Doubling four times again would place it near Tencent’s current value. NTES stock also compares well from a price-to-earnings (P/E) ratio standpoint. Tencent trades at over 37 times earnings. The P/E for NetEase stands at just under 26. Analysts forecast higher growth next year for Tencent (38.2% vs. 25.7%). Still, for all of the criticism that NetEase received for moving into e-commerce, it grew revenues in this segment by 75.2%. Its core game services segment increased by only 6.7% in the same period. I see that as an encouraging sign that NTES stock can successfully follow in Tencent’s footsteps. The recent decline in NTES stock could present investors the opportunity to buy the next Tencent. NTES stock saw a massive selloff despite beating estimates and reporting an enormous increase in revenue that slightly missed forecasts. The cost of e-commerce and fears of a trade war have rattled investors. However, due to a recent 40% decline in the stock, NTES trades at under 26 times earnings. 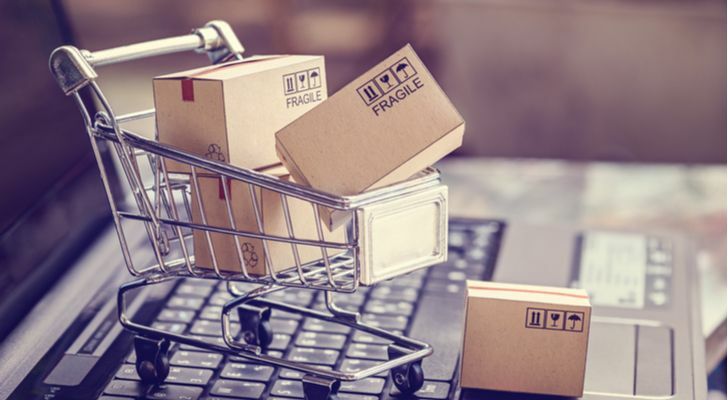 Moreover, with its 75.2% increase in sales on the e-commerce side, signs have emerged that like Tencent, NetEase stands as a gaming company that can also succeed in e-commerce. Due to its much smaller size, NTES stock shows more potential for long-term growth compared with Tencent. Once NetEase stops selling off, I think the future looks bright for NTES stock. Article printed from InvestorPlace Media, https://investorplace.com/2018/08/ntes-stock-tencents-footsteps-earnings/.